Bruno simulation software is developed for optimizing aggregate production processes. 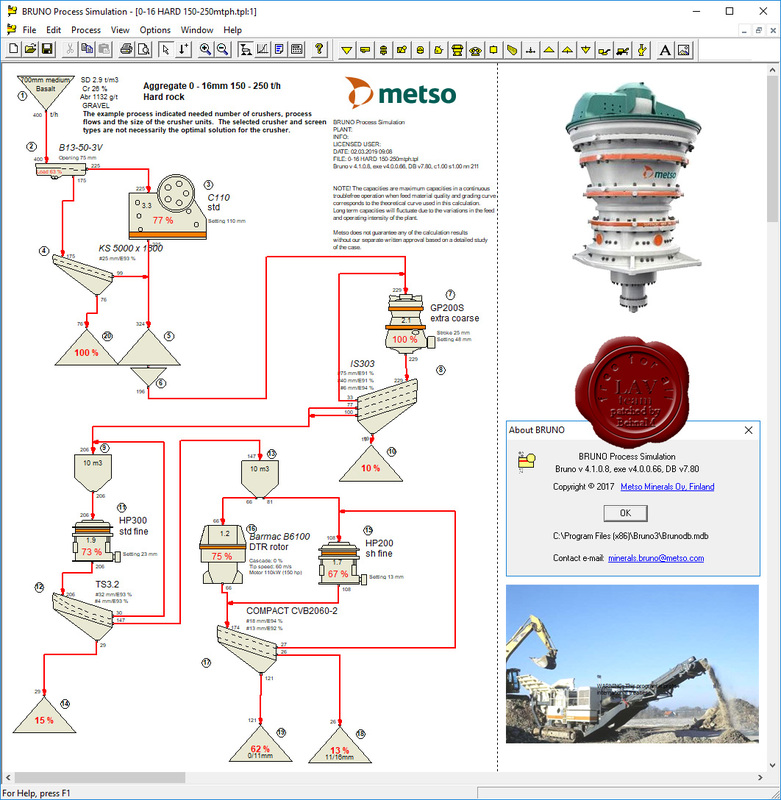 Bruno is an intuitive software program for simulating the aggregate production process and it includes all the required Metso equipment: feeders, crushers and screens. An aggregate crushing and screening process needs adjustment and changes for various reasons, such as too high production costs or poor product quality. With Bruno, the user can test suggested changes to find out if they have the desired effect without unintentionally compromising the performance some other way. It is much cheaper to spend a few extra hours at your desk making a feasible plan, instead of starting to make potentially costly changes blindfolded. Imagine that you have selected, bought and set equipment for your plant and you are ready to get going. Once the process has started, you notice that the crusher feed turns out to include larger rocks than expected, too large for the crusher to process. The difference isn’t huge necessarily, but it is significant. In that case, you need to reline the crusher chamber, which causes a delay in start-up. If Bruno had been used, we could have estimated the feed size with high accuracy and prevented the issue from emerging in the first place. 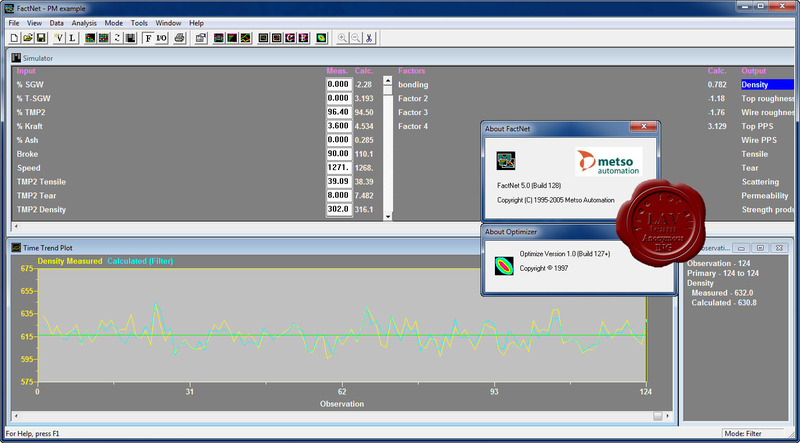 Mesto FactNet is Automation/Pacific Simulation's powerful mlti-variate statistical package. WinGEMS is the Pulp&Paper industry's premier process simulation tool that combines the ease of use of a graphical interface with twenty-five plus years of experience and process knowledge contained in the GEMS modular simulator. Application of WinGEMS can be used to perform mill financial modeling, steam plant optimization, VOC emission prediction, full mill process simulation, and steam monitoring to name a few. WinGEMS is very user friendly and easily communicates with an Excel spreadsheet.